Due to high demands of house calls and possibility of unavailable staff, we only take our customers by appointment only to better serve you. 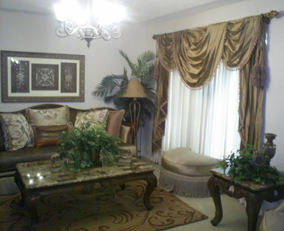 Turn to our upholstery specialists serving Greater Dallas/Ft. Worth, Texas, for a wide range of upholstery services. Backed by more than 19 years in the business and 27 years of combined experience, Sofa DR Upholstery offers reupholstering on all types of items, including home and automotive furniture. Contact us to find out firsthand how we are the best in the field of furniture repair and ask us about our senior citizen and interior decorator discounts. We are also available to convert your existing auto or boat interior to leather. We provide all sorts of furniture repairs, including wood refinishing and soft-interior repairs. If you want to find out how you do it yourself, we even offer a DVD that you can only get from us. When you stop by our shop, you'll have the opportunity to purchase various fabrics, leathers and foam, as well purchase some of our customized furniture that's available. From seating and carpets to headliners and inside panels in your automobile, you can count on the highly skilled technicians at Sofa DR Upholstery to work hard for you. We'll even take care of the interior for your boat. Custom upholstery/re-upholstery services & furniture repair specialists in the greater Dallas/ Ft. Worth area, Texas, Tx. DVD is also available. 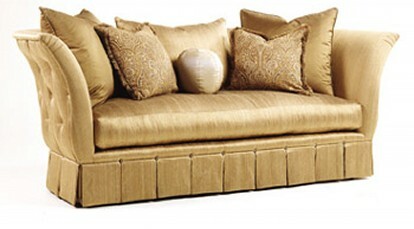 "Stop that sofa from sinking"
Purchase your foam from us! We custom stuff Cushions & Pillows! Let us make them firm again! Available Now Our "How To DVD" !